"What if you want kids to make Havdalah candles and you don’t have the time and materials (or inclination) for nice, beeswax versions? I’m the first to admit that candles from scratch can be a big to-do—even just the simple, rolled sheets. 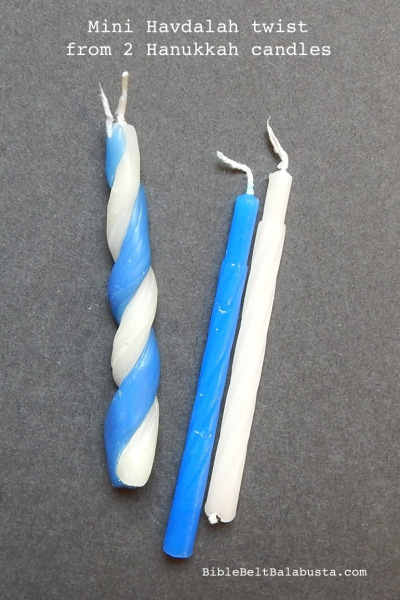 Just twist two warmed Hanukkah candles to create one mini Havdalah candle. It’s an easy, cheap DIY that can make any Havdalah lesson hands-on and memorable."